Melissa is the Head of Community and Outreach, Homage. 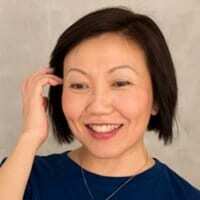 She is also the Founder of Project We Forgot (PWF), a community for caregivers to persons with dementia that provides peer support, knowledge resources, and access to relevant services in the journey of caring. The founding of PWF was inspired by her journey in caring for her father, who had young-onset dementia. Melissa also serves on the steering committee for the World Young Leaders in Dementia (WYLD) Network, where she helps drive the development of innovative dementia solutions across disciplines and borders. 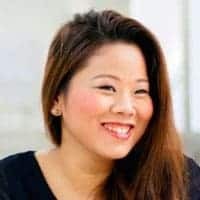 Her professional experiences span social innovation, community growth, and building brand strategies for the finance, hospitality, travel and technology sectors. Robing has been caring for his mother, Sally, who was diagnosed of dementia at the age of 62. In her early years, Sally was still manageable and could perform her ADLs (activities for daily living). But since 2016, her condition started deteriorating. Upon further assessment, Sally was diagnosed of frontal temporal lobe dementia (FTD), a rare form of dementia. She was recommended to be institutionalised in a nursing home to ensure 24/7 professional supervision. As a caregiver, Robing experiences stress and mental exhaustion. Prior to Sally being institutionalised, he was constantly worried about her well-being at home or at the daycare centre. As well, his role as a caregiver affected his relationship with his ex-girlfriend. Still, he wants to be there for his mother, and will not give up on her. Robing visits his mother on a daily basis. Steven is the Head of the Alzheimer’s Disease Association (ADA) Caregiver Support Centre. 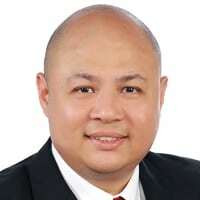 He was previously the Centre Manager of New Horizon Centre (Tampines) for more than 10 years. His work experience in the eldercare sector includes providing direct care as an Occupational Therapist, supervising and mentoring staff, and overseeing operations at the day-care centre. 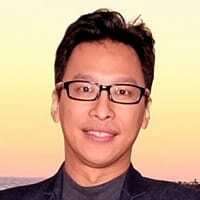 As an associate consultant and trainer for the ADA Resource and Training Centre, he has provided consultation and training to family caregivers, professional caregivers, as well as eldercare services providing care to persons with dementia. Stephen has been involved as a member of the Ministry of Health Dementia Care Taskforce, as well as, the Agency for Integrated Care work-group, to develop standards on Centre-based Community facilities. 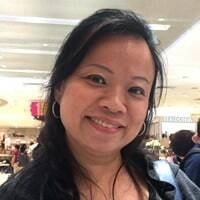 He holds a Masters of Gerontology from UniSIM, Singapore, and a Bachelor of Health Science in Occupational Therapy from the University of Sydney, Australia. He has attained the WSQ Advanced Certificate in Training and Assessment (ACTA). Stephen is also appointed as a member of the National Transplant Ethics Panel of Lay Persons, which serves on Transplant Ethics Committees to ensure that living organ donations in Singapore are altruistic and ethical. Linda is an Advanced Practice Nurse (APN) with the National Neuroscience Institute (NNI) and the first APN in dementia service. With 22 working years as a nurse, her passion and love for patients and support for caregivers is still going strong. Since 2014, Linda and her team of nurses and psychologists have been active in a wide range of dementia related work, be it at the NNI or in the community. Linda is a seasoned speaker in the community, organising public memory screenings to create awareness for dementia and collaborating with other organisations to create job opportunities especially for the Young Onset Group. Her work interest covers the Young Onset Group and children/teens. The Exclusive Support Group, led by Linda, is catered to children/teens in which they are encouraged to express their thoughts, emotions and struggles in a safe psychological environment. Closed door private counselling sessions with children/teens are also conducted.